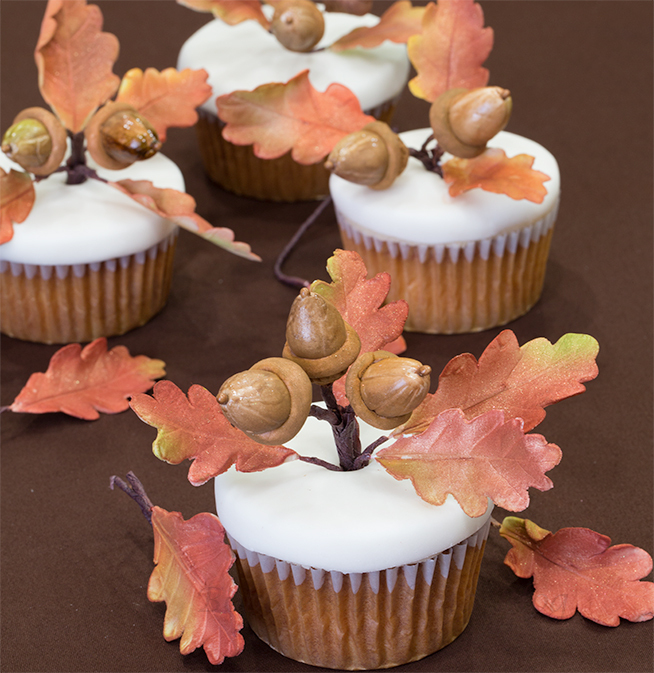 This year for our Thanksgiving Sydney and I thought Apple Cider cupcakes with gumpaste acorns and oaks leaves would be fun and festive place tags that will adorn our table! Apple cider starts the holiday, once you begin to see gallons of it in the food stores you can’t help but start thinking of the festivities. Thanksgiving is the first of the holiday meals, family and friends gather together, while cooking, baking, and of course eating! Sydney and I wait all year to host Thanksgiving at our home, and we try to show our appreciation for our guests with special edible place tags. 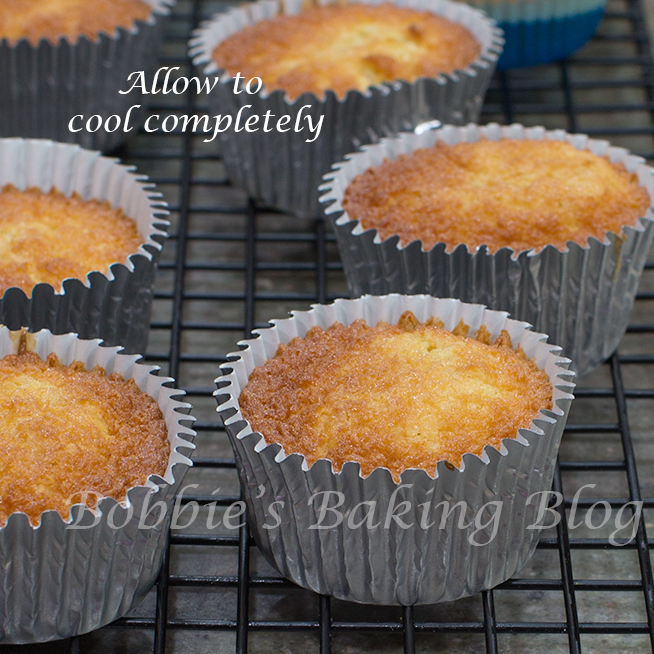 Preheat the oven to 180 degrees C/ 350 degrees F. Spray with baking spray and line 2 standard muffin tins with liners. 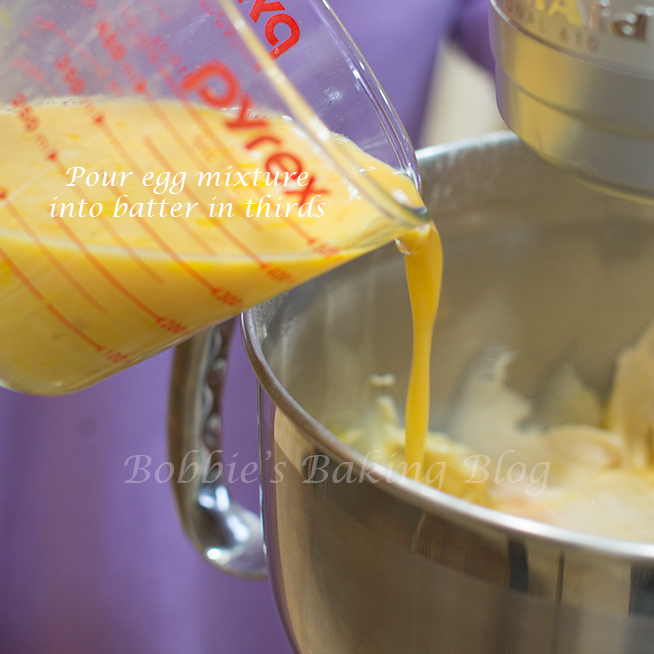 In a medium measuring jug whisk eggs, 122 grams/ 1/2 -cup milk, and vanilla. 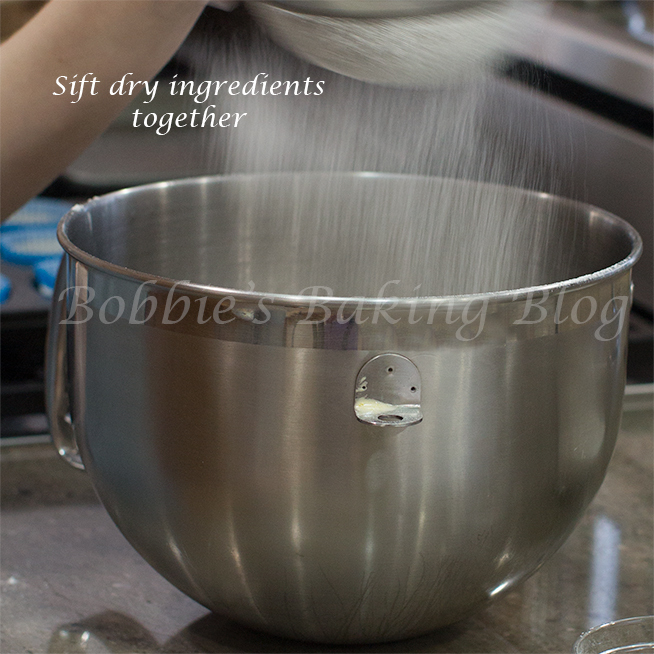 In the bowl of a standing mixer, with the paddle attachment, sift all the dry ingredients (including sugars) and mix on low speed just to blend. 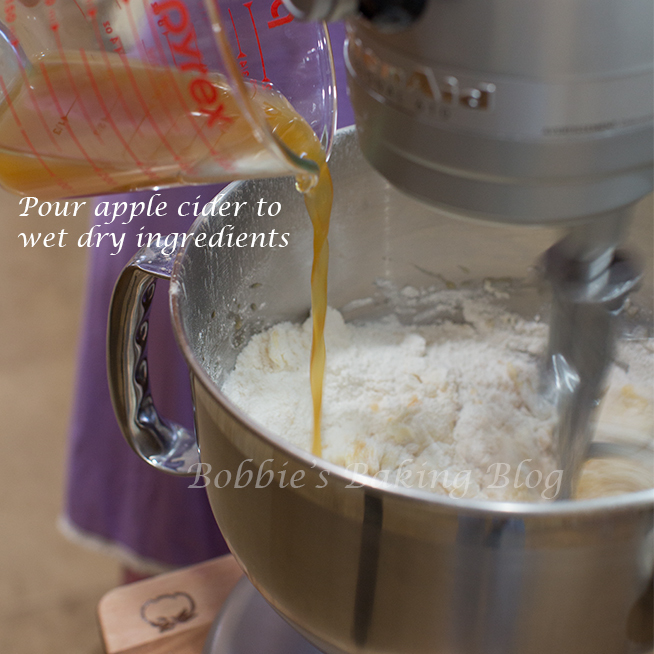 Add the butter and 244 grams/1 –cup apple cider to moisten the dry ingredients. 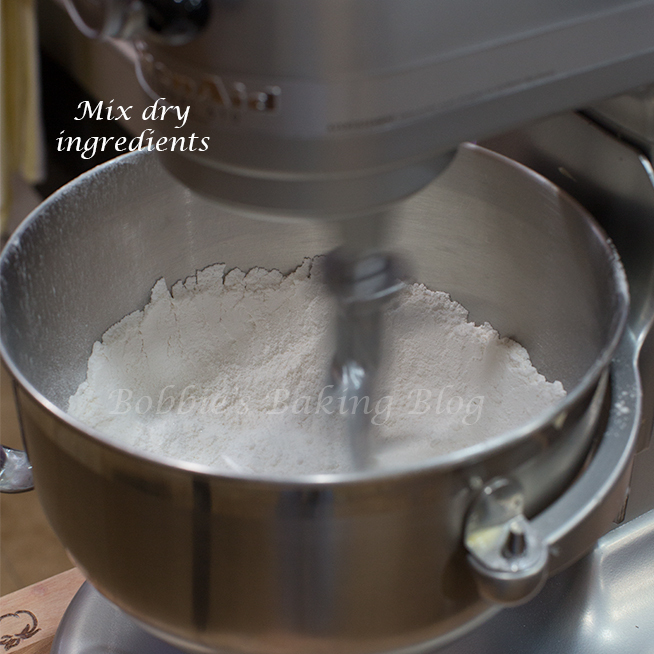 Continue to mix on low speed till the dry ingredients are moistened, raise the speed to medium and beat for about 2 minutes or until amalgamated. 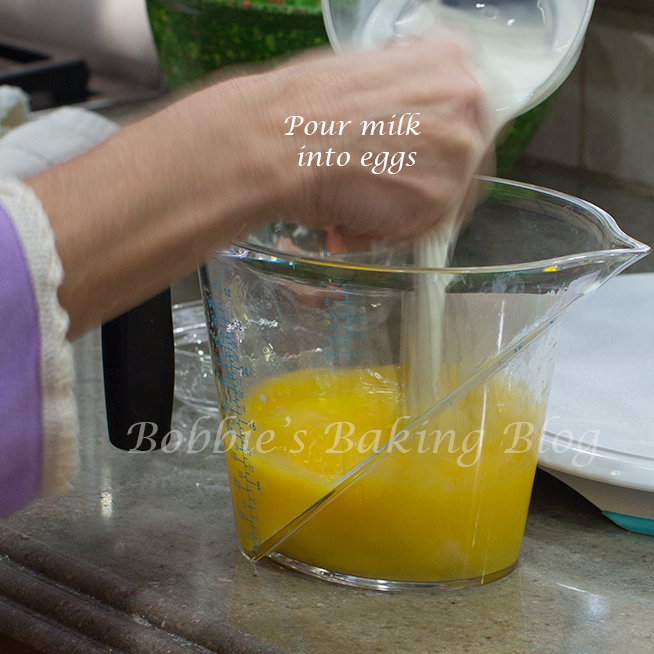 Scrape down the sides and gradually add the egg- milk mixture in thirds, beating for 20 seconds after each addition. 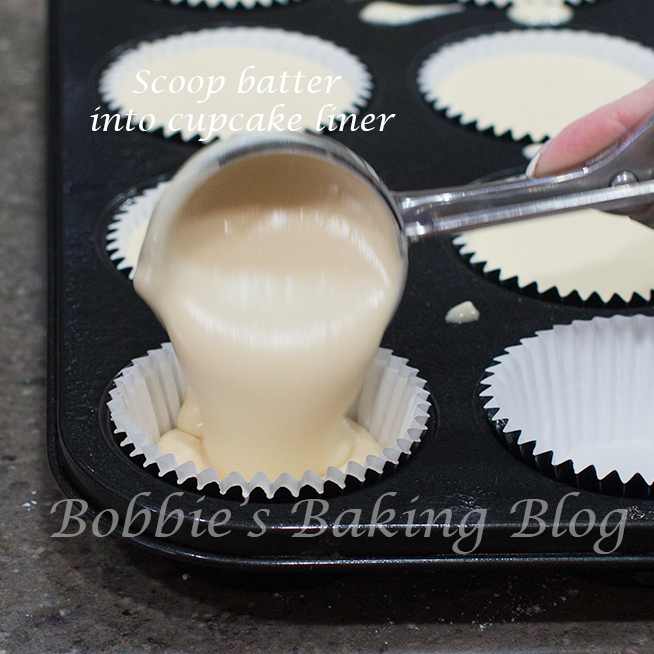 Scrape down the sides. 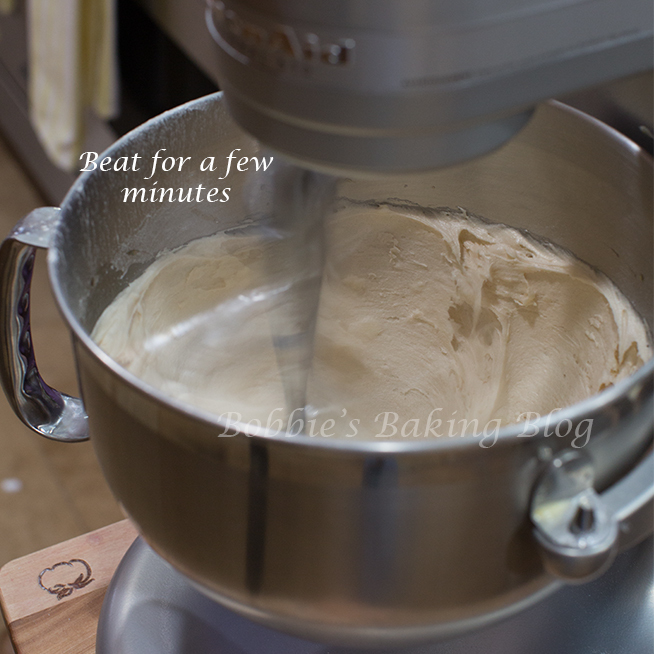 Bake for 25-30 minutes, or until the tops are golden brown and spring back when pressed lightly in the center. 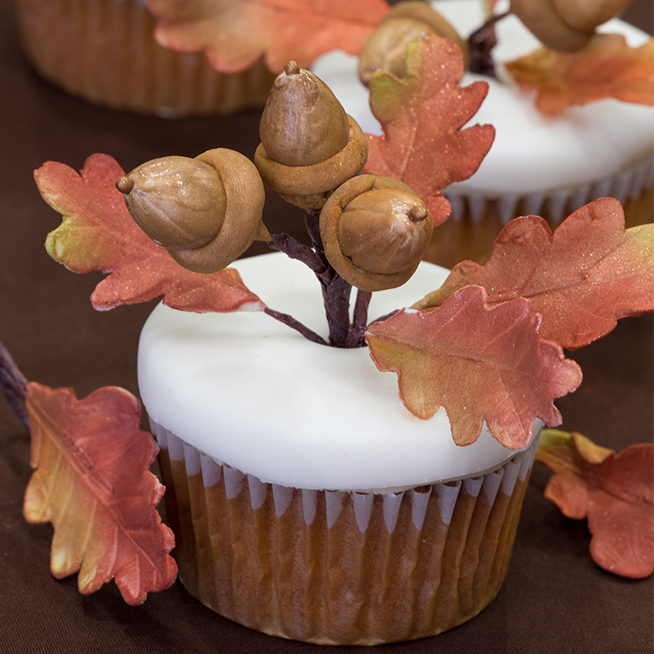 Allow the apple cider cupcakes to cool, and marzipan and fondant each one. 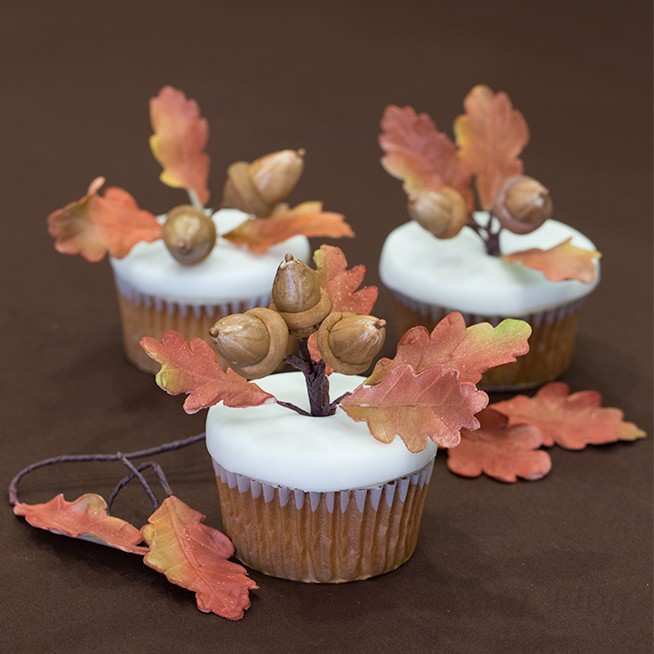 The acorns and oaks leaves are best done first, Sydney and I place them on a floral foam until we are ready to use them. 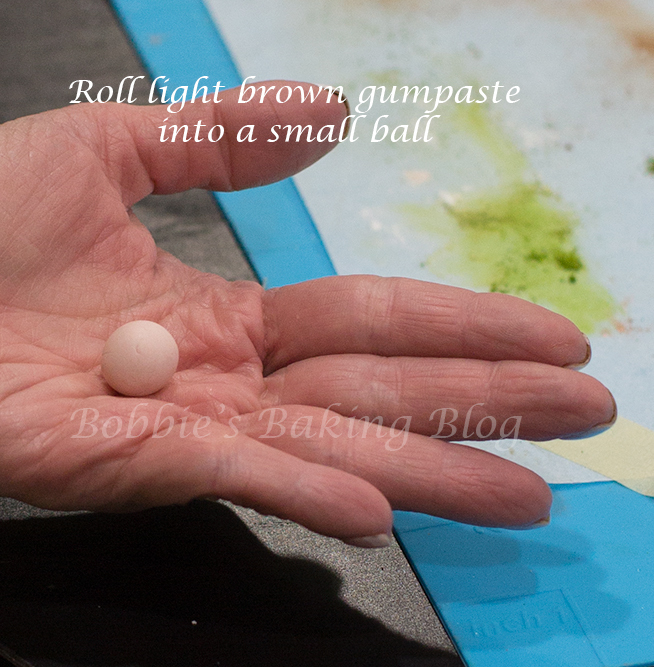 Color and knead your gumpaste, one base ball sized, light green and one base ball sized light brown, you will also need a golf ball size of white gumpate (wrap the gumpaste color balls you are not using tightly in plastic wrap, and set aside). 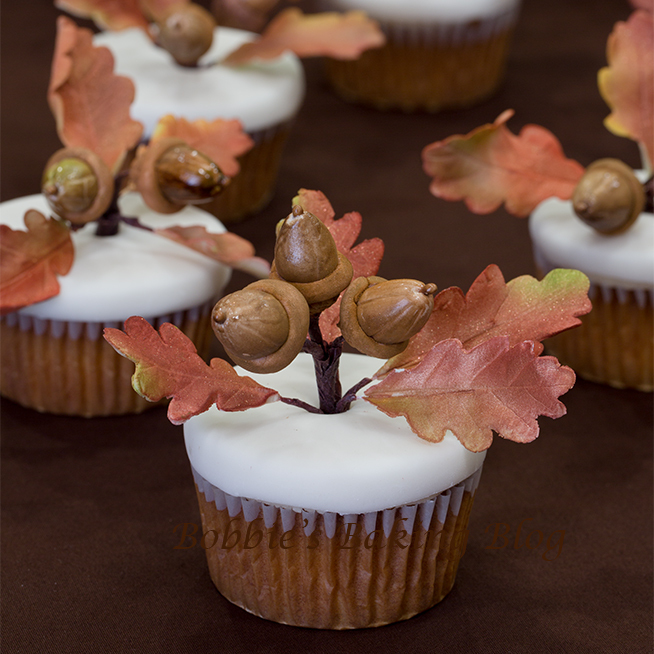 Sydney and I started with the oak leaves. 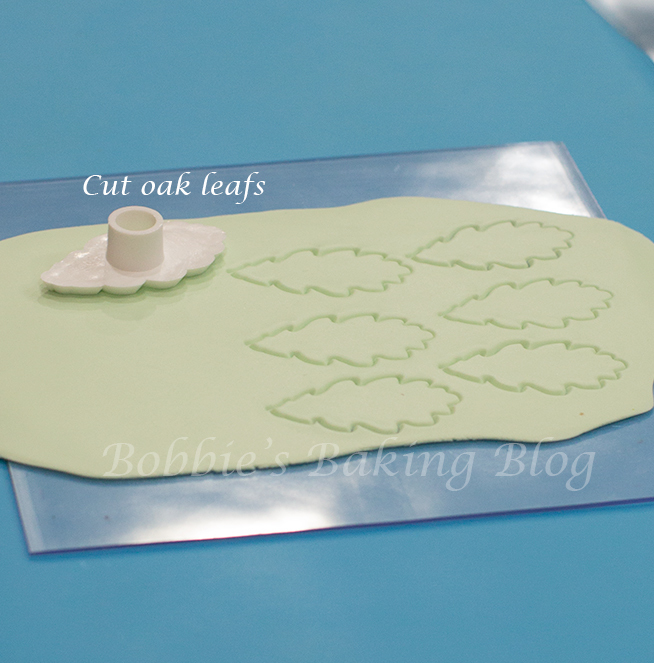 Roll a small amount of light green gumpaste, using your oak leaf cutters cut about 8 leaves (at a time), keeping all, but one leaf in The Mat with a stay fresh mat on top or a prepared sandwich bag. You will need a total of 75 leaves. 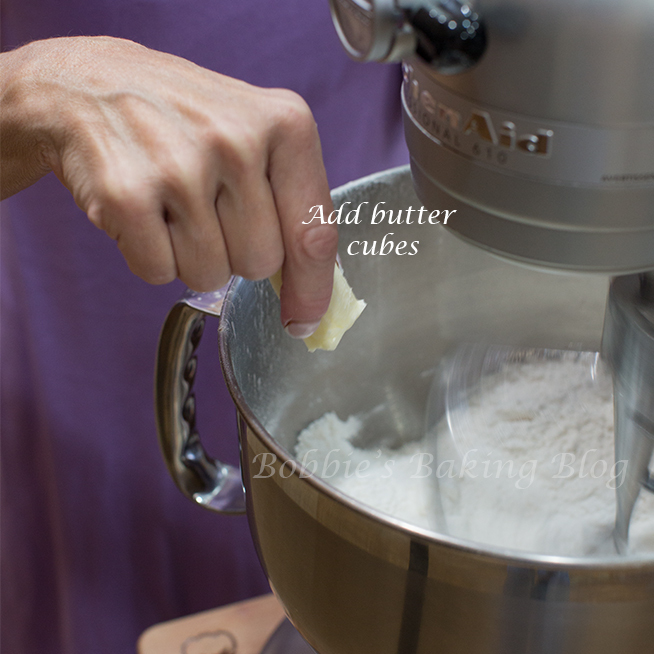 (If you do not have all the supplies no worries you can successfully use materials from your pantry.) 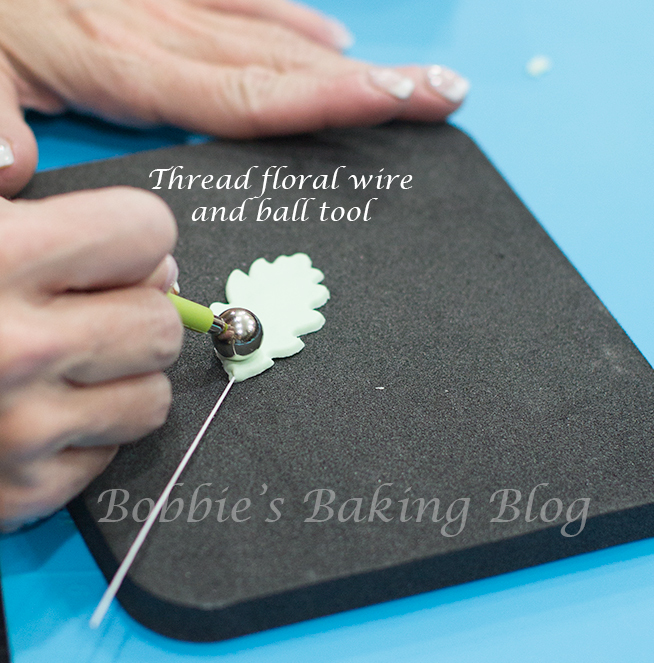 Take your floral wire, dip the wire lightly into egg white and gingerly thread the wire from the bottom to the middle of the leaf. 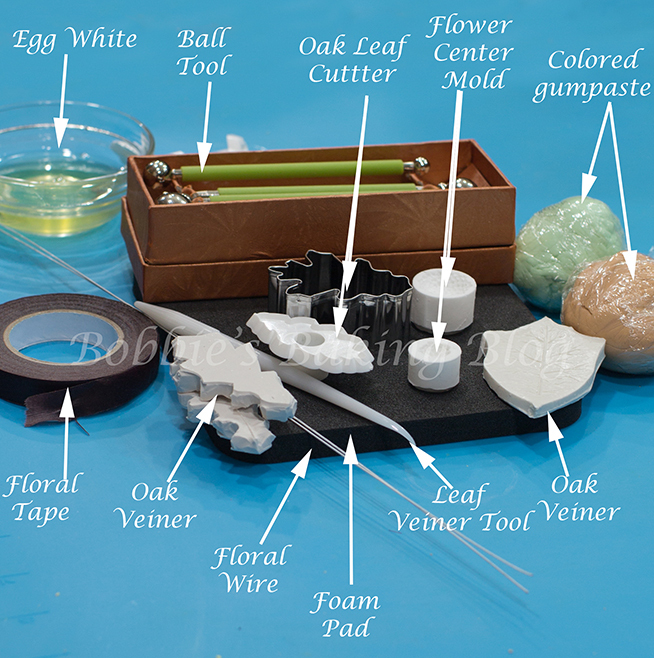 With a ball tool on your foam pad elongate and slightly cup the leaf. Be carefully to not ball tool over the wire! 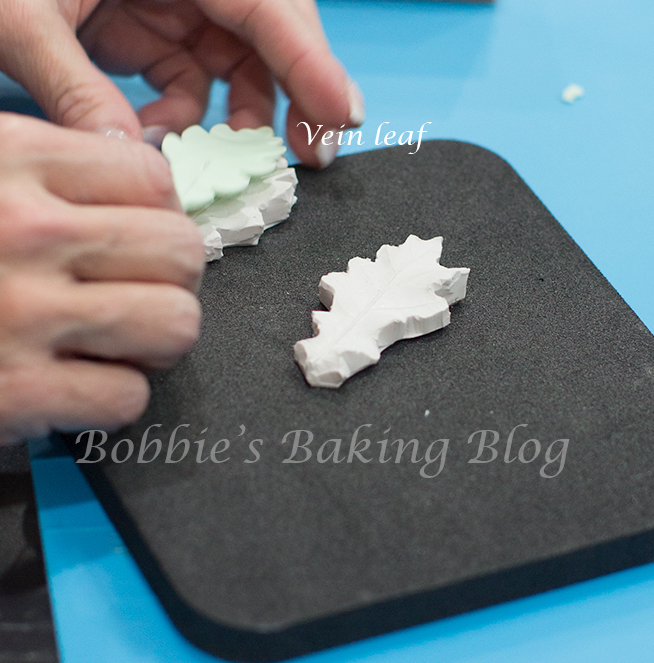 Transfer the leaf from the foam pad to the oak leaf veiner, if the lines are faint use your leaf veining tool to deepen them. 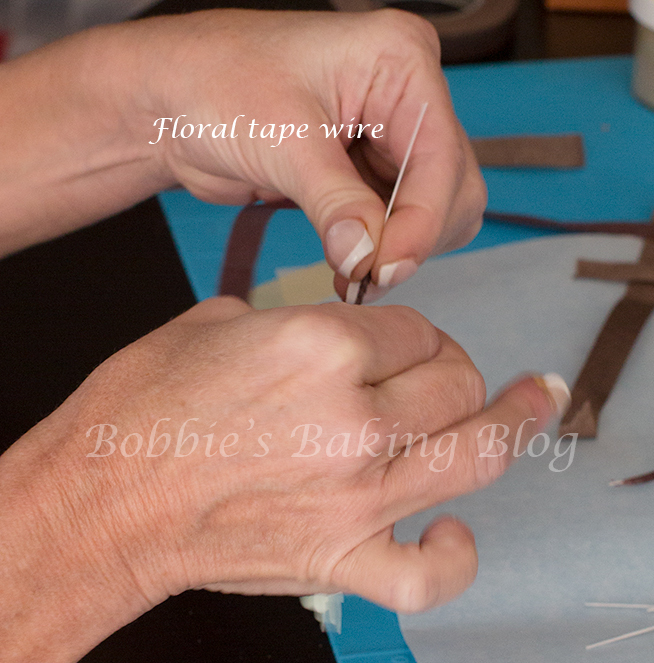 Wrap each of the wires of the leaves with brown floral tape. 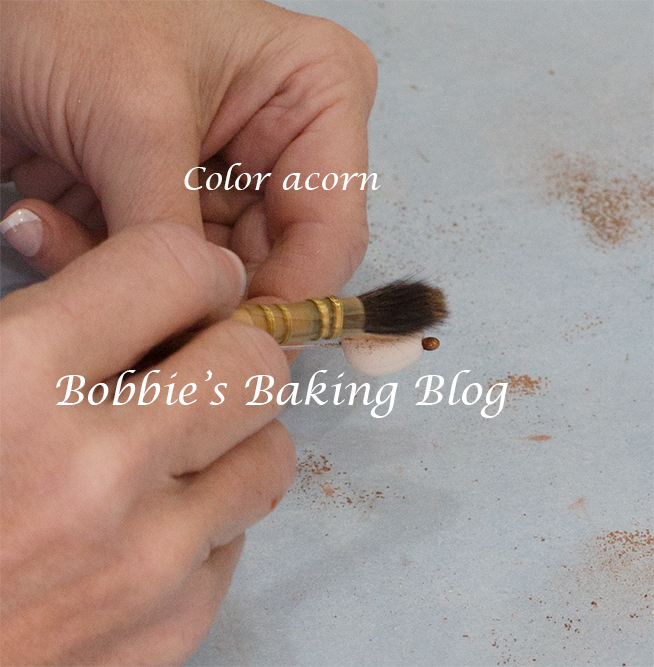 Allow the leaves to dry overnight in a floral foam and dust with petal dust in fall colors. 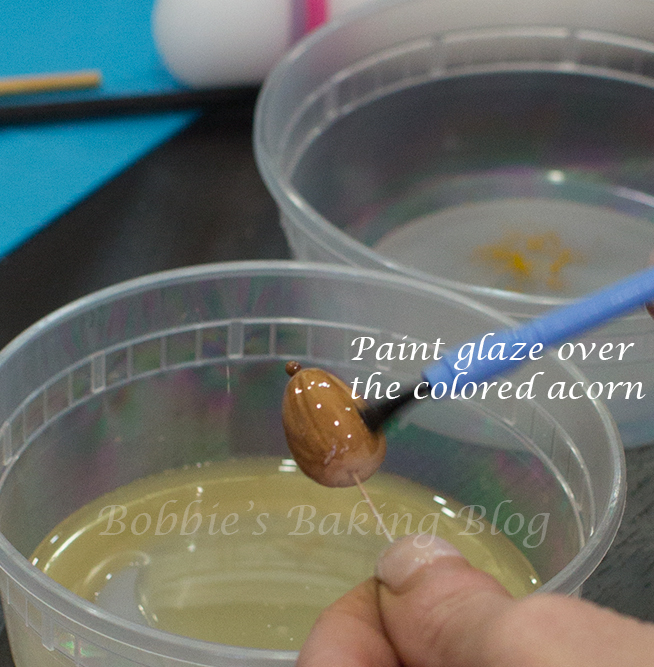 While the leaves were drying we took the opportunity to start on the acorns, we began with the nut. 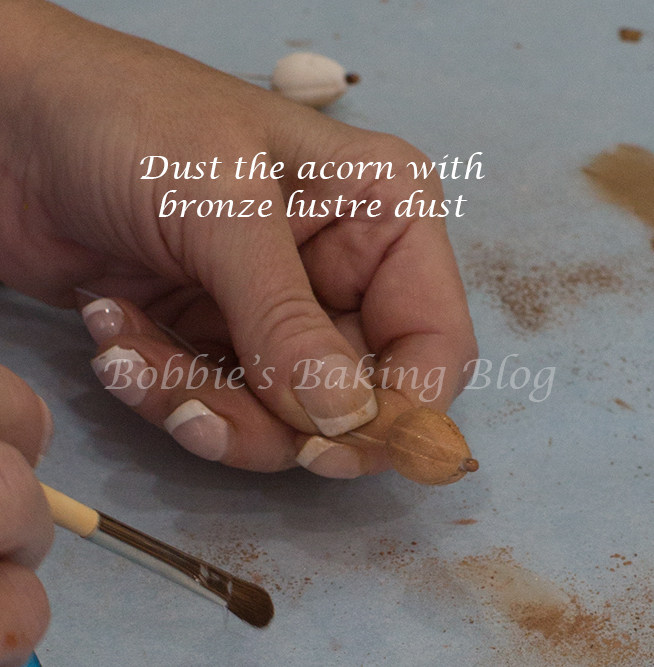 Knead a small amount of brown colored gumpaste, shape the gumpaste into an egg shape. 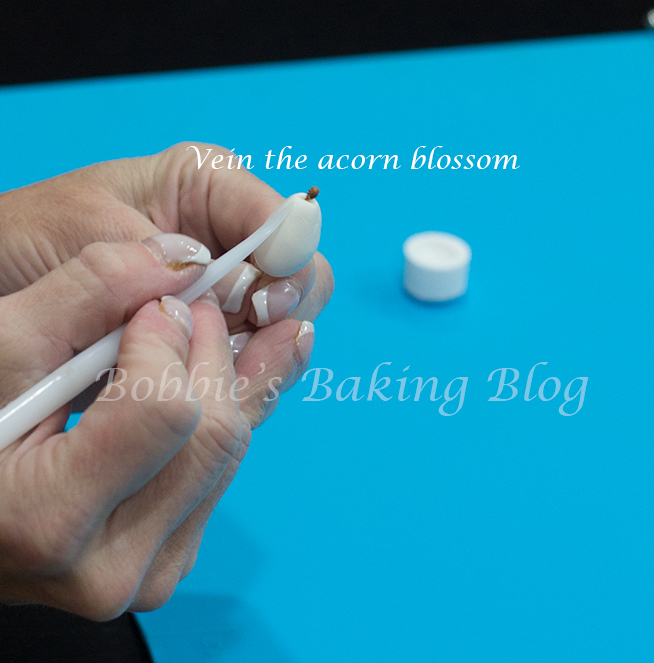 Take your floral wire with your small needle nose pliers create a closed hook, dip the hook section into the egg white. 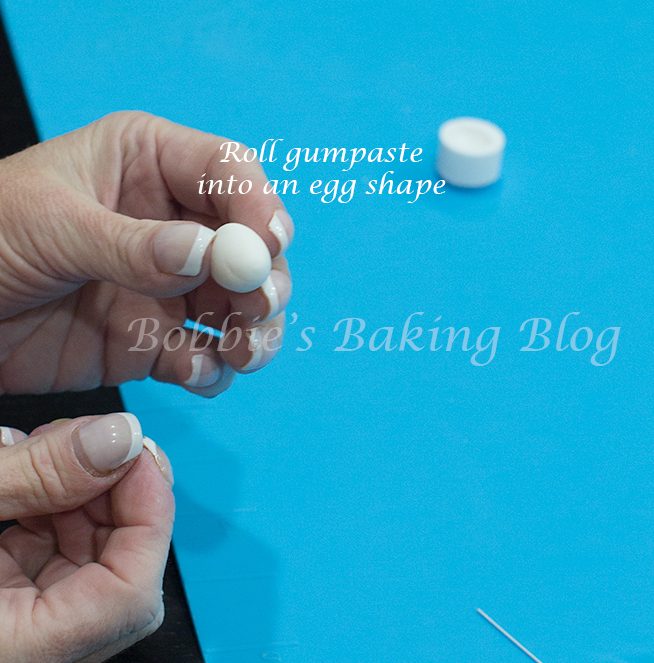 Thread the wire into the gumpaste, the hook should be in the wide end of the egg shape. 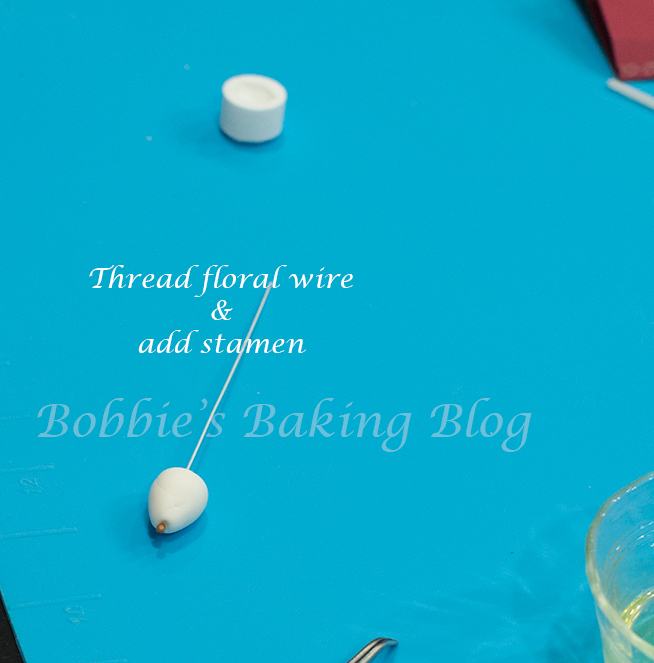 Add a stamen to the top of the egg shape with egg white with tweezers (the opposite side of the wire). 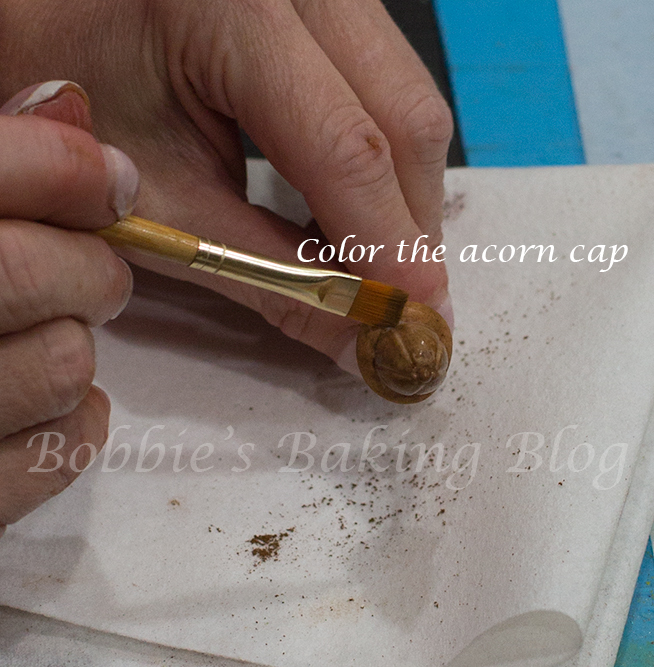 The cap needs to be done after the acorns and glaze have dried and hardened. 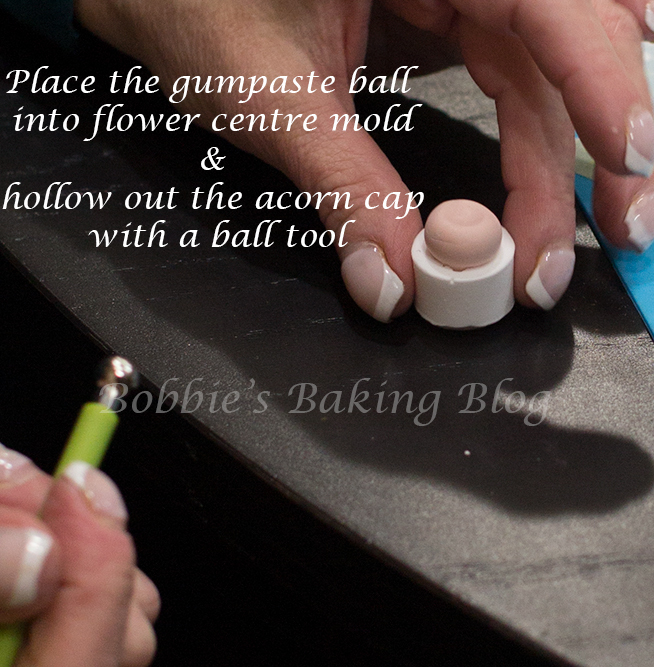 With a marble size of brown gumpaste roll into a ball, place the ball in the flower centre mold (if you do not have a mold hollow with a ball tool and and texture with a celstick) hollow out the ball with a ball tool, remove from the centre mold, and thread the cap through the wire that has the acorn nut and attach. 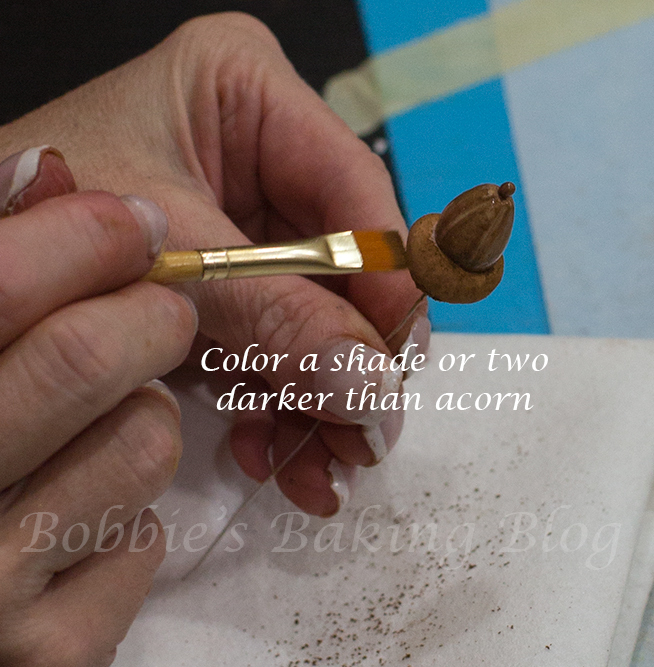 While the cap is still wet petal dust one or two shades darker than the acorn. Leave to dry. 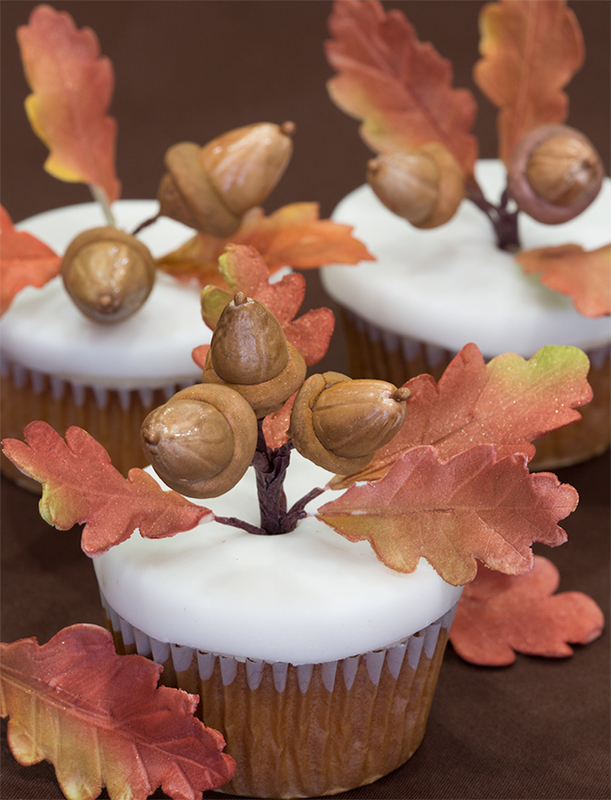 Assemble the acorns to the oak leaves. 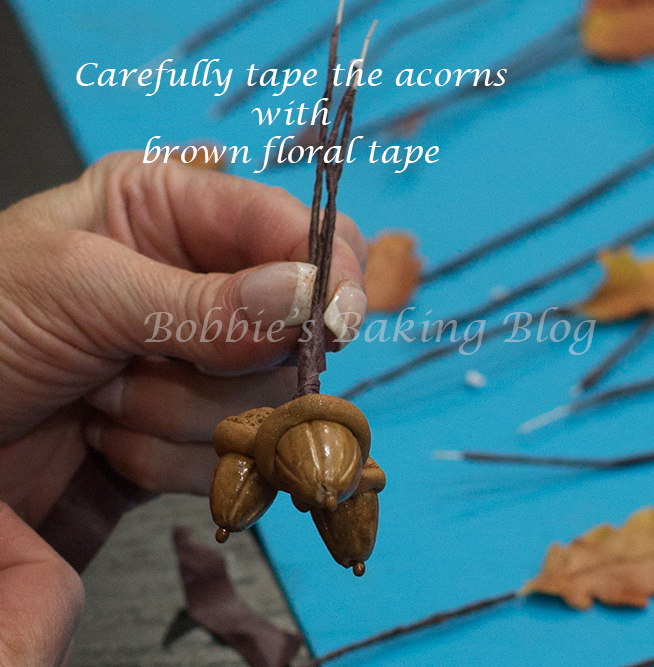 With brown floral tape, tape each acorn, then wrap two to three acorns together. 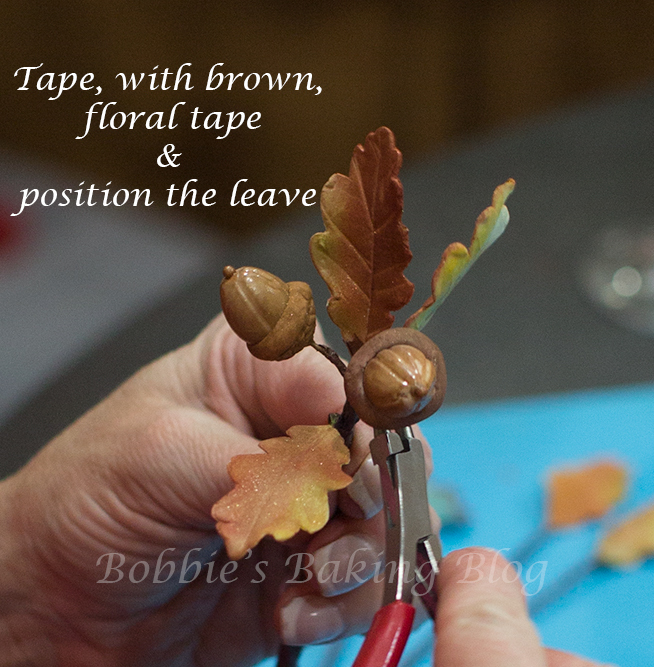 Now add about three to four oak leaves, and tape them tightly to the acorns. Be careful the leaves are fragile. 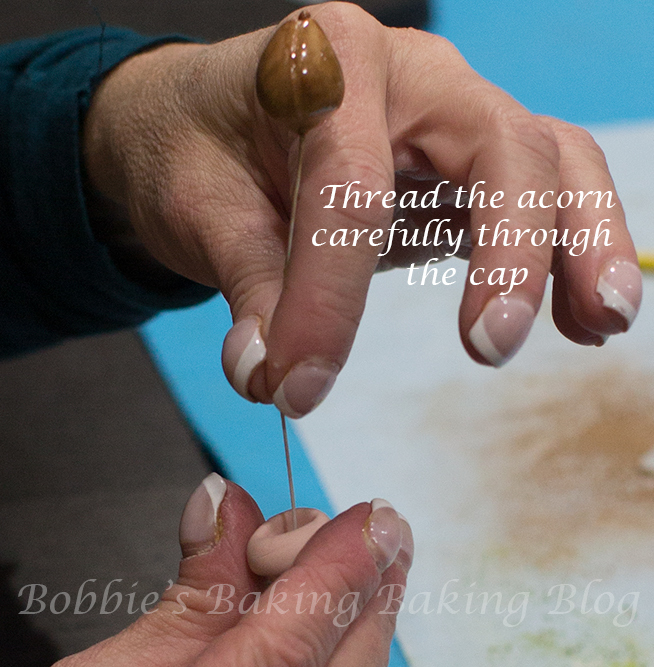 With a small needle nose pliers arrange the leaves and acorns to your liking. Sydney and I wish all of you a Happy, Healthy, and Delicious Thanksgiving! 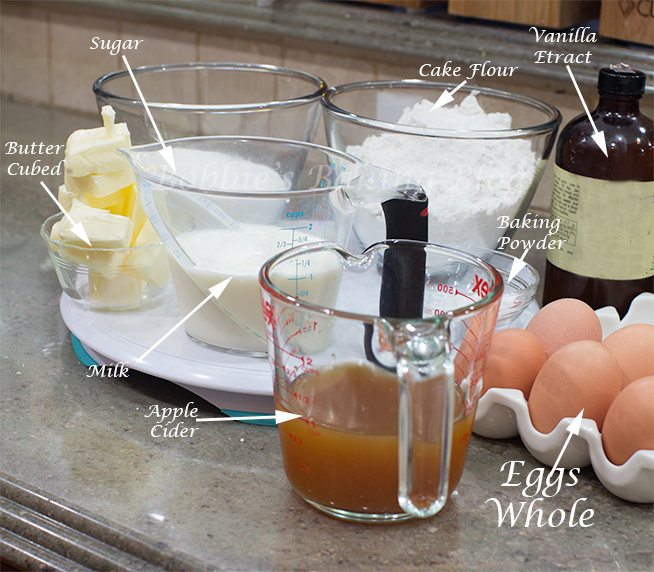 They are beautiful – what the heck is cake enhancer? Tina, Thank you. 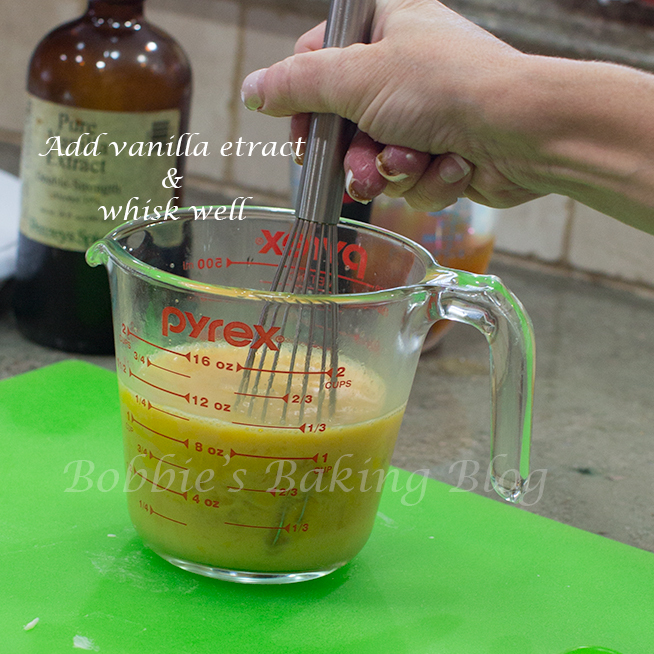 Cake enhancer is from KIng Arthur, it is gluten free, and helps the batter softer, moister, and stay fresher longer.